In this major work, Dallas details the many changes that occurred in the latter half of the nineteenth century. He describes at length the pinfire, centre-fire, and hammerless developments along with all the ancillary changes made to sporting guns. He also outlines the many developments in rifles: the superseding of the two groove muzzle-loading Express rifle by the multi-groove, breech-loading rifle of smaller calibre with higher velocity and greater power, propelled by nitro powder and with many different mechanisms on offer. Historian Donald Dallas lives in Fife, Scotland. From an early age, he developed an interest in sporting guns and the history of their development. Dallas conducts historical research into gunmaking families, technical developments, and contemporary periodicals to ensure that his publications are original and accurate. This is Dallas's tenth book on gunmaking history. His previous Quiller titles include Boss & Co (978-1-904057-63-5); The British Sporting Gun and Rifle (978-1-84689-032-1); David McKay Brown (978-1-84689-100-7); and James Purdey & Sons (978-1-84689-164-9). 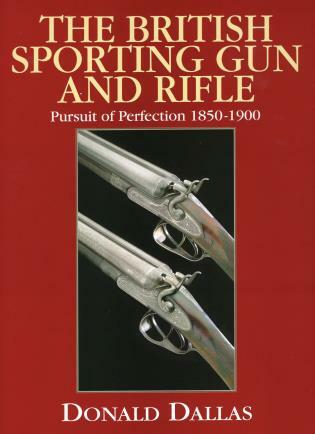 Donald Dallas's previous books encompassed detailed histories of renowned gunmakers Boss (978-1-9040-5763-5), Purdey (978-1-8991-6363-2), and Holland & Holland (978-1-8991-6376-2), among others. He lives in Fife, Scotland.